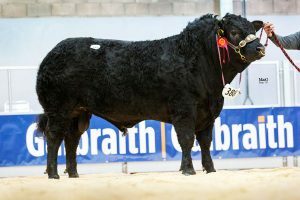 Two impressive young black Limousin bulls from M Fotheringham & Hazel McNee, Over Finlarg, Tealing, Dundee, sold for 11,500gns and 11,000gns respectively to top the sale of Limousin bulls held at United Auction’s Stirling Agricultural Centre, on Monday 4th February. 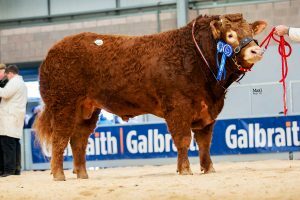 In all the Westhall herd of Mary Fotheringham, along with the husband and wife team of Robert & Hazel McNee, had a tremendous day’s trading that saw them sell all of their pen of five bulls to gross 38,500gns at a mighty average of 7,700gns. 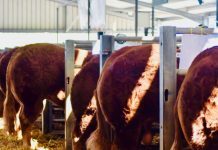 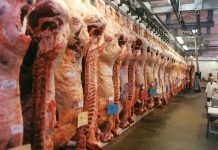 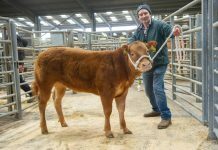 Commenting, British Limousin Cattle Society Chief Executive Iain Kerr said: “There was a solid demand for the bulls forward and a very healthy 80% clearance rate reflects that. 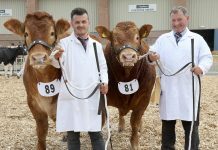 It was clear that buyers had set budgets to work to and picked the bulls meeting their criteria. 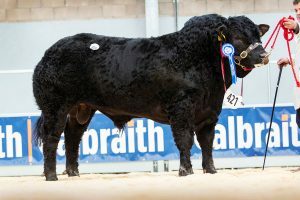 Bulls with the genetics and performance figures for easy calving, growth, weight for age, and age to slaughter were in demand and sold very well. 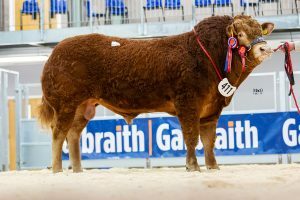 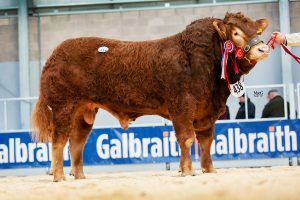 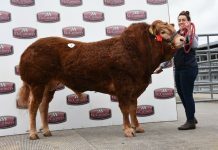 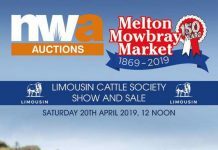 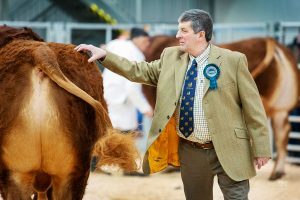 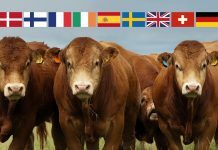 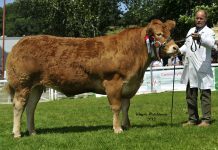 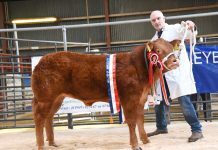 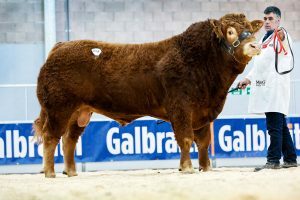 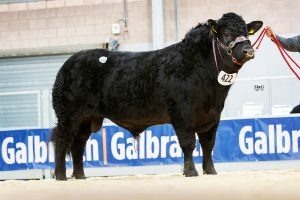 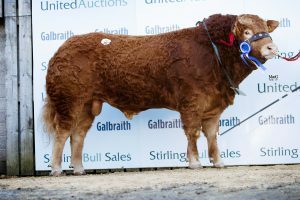 The breed now moves on to Carlisle within the next fortnight where there will be another 200 Limousin bulls catalogued”.